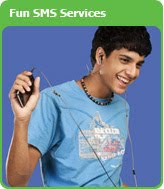 Most of the mobile operators in Sri Lanka try to position the mobile phone as a mere tool for Entertainment and Keep In Touch (KIT). They mainly target youth for their marketing campaigns. This has led to various confusions and disadvantages for both mobile subscribers as well as mobile companies. A negative sentiment has been developed among the people and most of the people, mainly the people at the Bottom of the Pyramid (BoP) do not believe that mobile phone has a positive impact on their lives or livelihoods. So, it is a need of the hour to understand the potential of the mobile phone in Development and position it at the right place. Also it is the time to introduce more and more Value Added Services which goes beyond the entertainment.